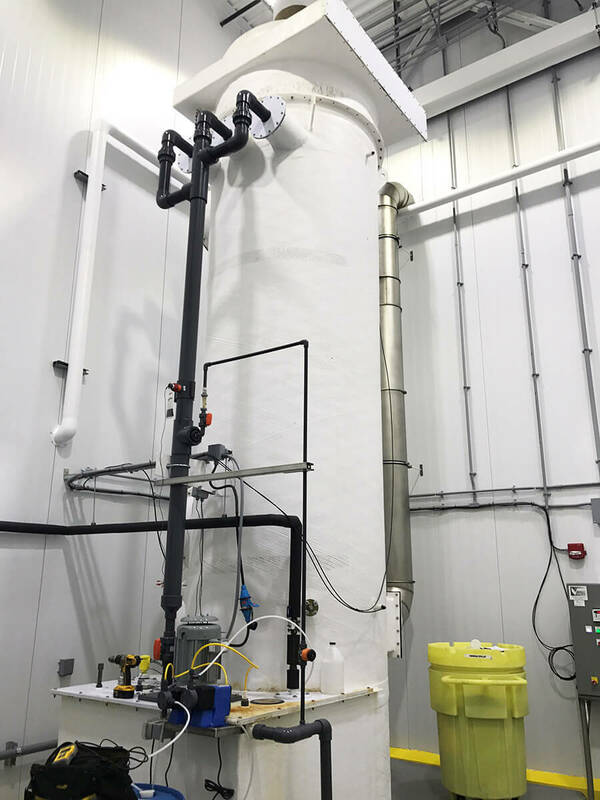 Vanaire builds cost-effective and versatile vertical flow packed bed air scrubbers for removing toxic chemicals acids, odors, and soluble gases. We use only proven materials that are highly resistant to high and low concentrations of pH gases to craft reliable and durable scrubbing systems. Vanaire vertical flow scrubbers enable the most effective elimination of soluble acid gases. Our engineers design and construct vertical flow scrubbers in such a way to make them helpful in manufacture environments with multiple-contaminant gas streams. According to the numerous factors that need to be considered in productive gaseous pollutants removal Vanaire team plans the optimal diameter of a tower, recirculation flow rates, depth of packing and other. Vertical flow packed bed scrubbers manufactured by our company will solve air pollution control issues at food processing, metal finishing, wastewater treatment and other industries.